We all get injured at some time the other. We tend to think that if there are no broken bones then an injury is not serious. However, some injuries may not lead to a broken bone but can still be severe and require medical attention. Some soft tissue injuries can be very severe like with a complete tear of a muscle, tendon or ligament. Managing these types of injuries is not simply of taking some OTC medication and resting. Sometimes surgery may be required to correct the underlying problem. What is soft tissue injury? The term soft tissue injury may seem to be self-explanatory but many people are confused by what it means. Soft tissue injuries refers to trauma to the muscle, tendons and ligaments which usually presents with pain and swelling. There are different types of soft tissue injuries like strains, sprains, contusions, tendonitis and bursitis. The injuries may occur to varying degrees. Soft tissue injuries must be differentiated from trauma to hard structures like bones and joints, where there may be injuries such as a fracture or dislocation respectively. First degree (mild) where there is damage to just a few ligament fibers. Second degree (moderate) where there is a partial tear of the ligament. 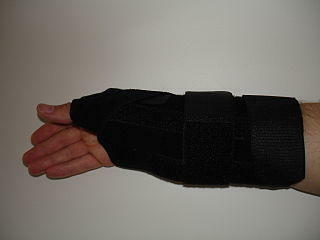 Third degree (severe) where there is a complete tear of the ligament. The muscles are responsible for moving different parts of the body. It attaches to the bones through fibrous bands known as tendons. Strains refer to injury to muscles and/or tendons. As with a sprain, there may excessive stretching to partial or even complete tears. It can be classified according to different degrees. First degree where there is excessive stretching and minor damage to the muscles and/or tendons. Second degree where there is partial tear of the muscle or tendon. Third degree where there is a complete tear of the muscle or tendon. A blow that causes bruising of the soft tissue and often discoloration of the overlying skin is known as a contusion. Tiny blood vessels known as capillaries carry blood to and away from tissues. Sometimes an injury causes these capillaries to rupture and the blood may pool around the muscle, tendons or ligaments. Most contusions are mild despite the purple to blue-black appearance of the skin. Tendonitis is the term used to refer to inflammation of the tendon. It is the type of tendon injury that may occur with strain, where there is sudden stretching and sometimes even tearing of the tendon. However, tendonitis is usually a consequence of repeated stress and overuse of the tendon that eventually leads to inflammation. Bursitis is the term for inflammation of the bursae. These are small pouches filled with fluid. Its separates bones from the overlying muscle or tendon. Bursae help reduce friction when the muscles and tendons move over bone. The pouches can become inflamed with repeated stress and overuse and it therefore tends to occur simultaneously with tendonitis. Soft tissue injuries arise with trauma. A blow, excessive force, extending or flexing beyond the normal range of motion, awkward movements like twisting or a joint, and strenuous physical activity that a person is not conditioned for can all cause soft tissue injuries. However, the trauma may not always occur as a once-off incident like a sprain while running around when playing a sport. Some soft tissue injuries like tendonitis and bursitis arise gradually over periods of time with repeated stress and overuse. These types of injuries can occur in any person. It may arise when playing sports, with a fall, due to assault, motor vehicle injuries or with an accidental event like jamming a hand in the door. People who are athletic and well conditioned are just as prone to soft tissue injuries as a person who is typically sedentary and not conditioned for strenuous activities. With more severe force, soft tissue injuries may occur with a bone fracture or dislocation at a joint. Discomfort or pain which is usually worse with movement in the affected area. Swelling to varying degrees over the affected area and surrounding regions. Tenderness with pressure on the affected area. Bruising (discoloration of the skin) over the affected area. Skin redness and heat may be seen and felt when soft tissue injuries are superficial. Weakness and instability in the affected area. Loss of function when there is severe injuries like in a complete tear. Mild soft tissue injuries can be managed at home without the need for drugs. Moderate to severe cases need medical attention and sometimes even surgery. It is not always possible to differentiate mild from moderate to severe injuries and it is therefore advisable to seek the advice of a medical professional. Any condition where the symptoms are worsening despite the conservative measures discussed below requires immediate medical attention. Remember that even fractures, if small, may not present with intense symptoms in come cases. Rest, ice, compression and elevation, also known as RICE, are simple measures that can be done at home to treat mild soft tissue injuries. It can also help with the progression of moderate to severe injuries but does not preclude the need for medical attention at some point. Ice – cold packs or even ice wrapped in a clot can be used to reduce and control the inflammation. Compression -bandaging an area can help but it should be loosely wrapped to allow for expansion if there is ongoing swelling. Elevation – propping the injured part can reduce swelling and pain for short periods of time. Soft braces can be used temporarily to immobilize the affected area but prolonged use should only be continued if advised by a doctor.